I can not wait to head home for the holidays. In the meantime I have to say LA has been doing a killer job of decorating so I can get into the spirit of the season. I have been loving cozy knits and oversized jackets to bundle up at night here. I know I said this before but Old Navy is killing it in warm winter goodies this seasons. Excited to be collaborating with them again to show some of the latest trends you can find in store and online right now. 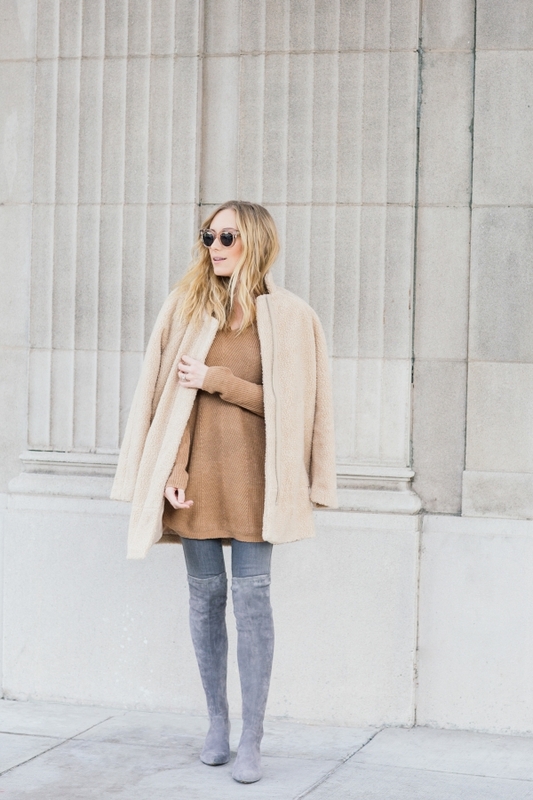 Lately I have been loving tonal dressing. 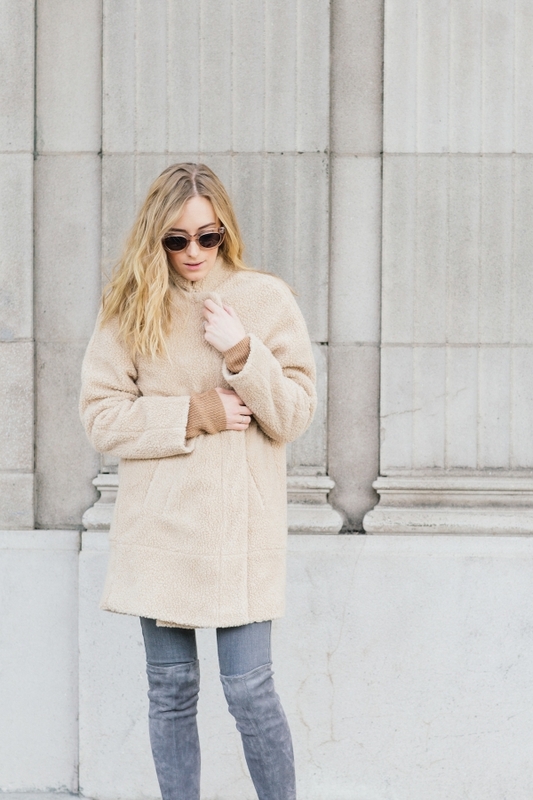 These creamy tones are on heavy rotation. The jacket was a great find. I feel like a warm teddy bear. The texture is great paired with my knit sweater. 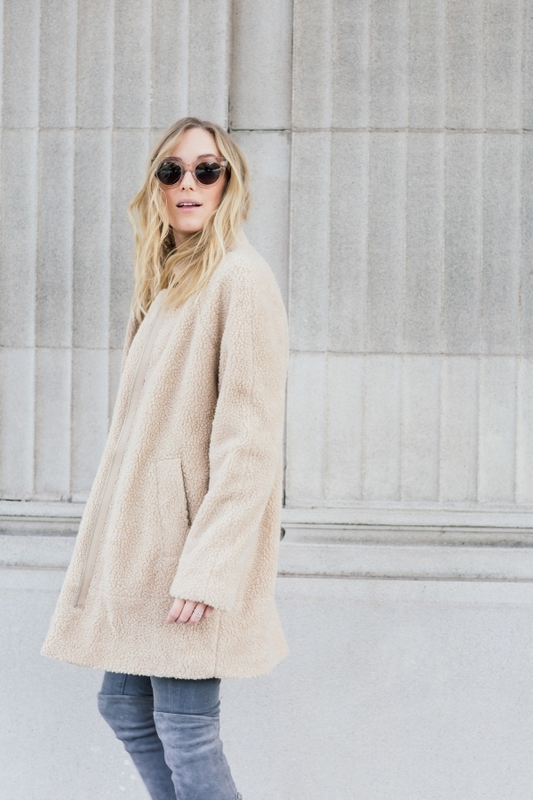 Styling tip: I love to size up in my jacket to give them a more oversized menswear feel. Also, I can fit a pretty heavy sweater under a bigger jacket. I went for a size medium! I paired my look with a pair of over the knee boots to dress it up just enough for my holiday adventures. I am also on the hunt for a lot of last minute gifts and for me, its about things that fit easily in my suitcase. I have to admit.. I bought about 4 (no joke) scarves from Old Navy the last time I popped into the store. So many different checked prints and they are so soft. They make the perfect gift. I scooped up one for my sister already! Another thing i love for easy gifting? A pair of mittens and a hat. Winter accessories you don’t have to worry about sizing and it’s a great quick gift to pick up. Check out more of my gift ideas below. Happy Shopping my friends! Natali - Looking so cute in this outfit and I absolutely LOVE, LOVE, LOVE your coat! ODEP - You girl look beautiful in this look! The outfit looks stylish, fashionable and warm enough. I’m looking forward to your upcoming knit-on-knit style. Have a great weekend! Poshnessary - Love the sweater!!! Ashlee - What a cute jacket, loving those boots! !